Job search is a two-way street. Meaning that you can both find jobs and they can find you. The latter is achieved by posting your resume to a job site (ideally an entry level job site like CollegeGrad.com) or directly to an employer site. But beyond the act of posting your resume, this avenue becomes very passive as you wait for someone to find you. On the other hand, you can actively apply for jobs online where you find a potential match. 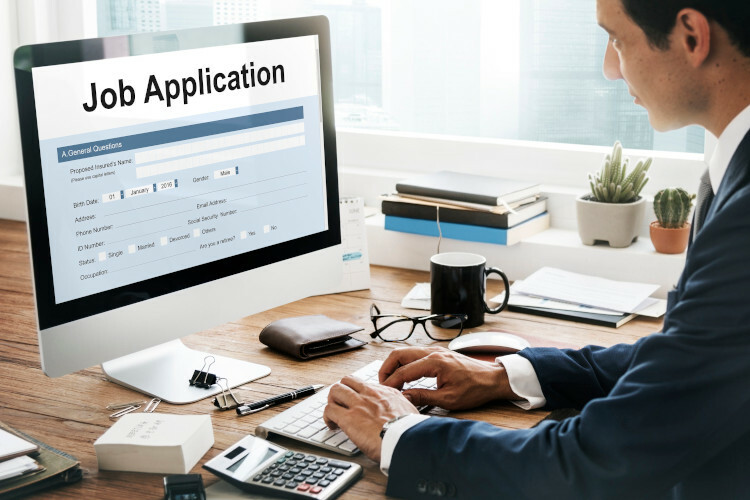 While this seems to be a more proactive way to approach your job search, many candidates complain that they have applied for scores or even hundreds of positions without a response. There is a reason for that. Most times, it is due to the “post-and-pray” approach of candidates to post (i.e. apply) to every job that is even remotely close, then pray that they get a call back. Let’s be clear. Your resume will, in these circumstances, typically be screened out in 2-3 seconds by a qualified Sourcer who will see that you do not meet the requirements of the role. And so you are passed up, no response, on to the next one. And you wonder why you’re not getting a response. Most (although not all) job postings have very specific requirements. Sometimes these requirements are listed in a very objective manner, such as is often the case with government agencies. These are the bona fide occupational qualifications (or BFOQs for short) of the job. If you don’t meet the minimum for the role, you will be passed over for candidates who do meet these minimums. So be selective in applying for jobs. Yes, it takes more work to read through every single job description and only apply to those where you are qualified for the role. Yet you will greatly increase your odds of getting an interview. But wait, just because you meet the qualifications doesn’t mean you should then send out your resume immediately. Go back and read through your resume. Does it accurately reflect that you meet all of the qualifications of the role? If not, you will need to customize your resume for the specific role and employer. It’s not only accepted, it’s recommended that you customize each resume you send. You can do so quickly from your baseline resume if it is kept in Word format. Just make sure you save each version of the resume in a subdirectory with the employer name so that you have version control of which was submitted and when to whom. Do not change the file name on the resume (for example: Jane Smith-Amazon.pdf). You should keep the same file name (First Last.pdf), but keep different versions in different subdirectories for later reference. Before you submit, check for the best method of submission. While it may be easiest to quickly submit online at the job site, you should first check out the employer site. There you will find further information about the employer as well as other open roles. This will allow you to customize your resume to best fit the specific needs of the role and the employer. And, in some circumstances, you might find a role that is an even better fit. Apply to the role with the best fit for your background. If you apply at the employer site, make sure you note the job site where you originally found the job for tracking purposes. Then submit your resume in the best format for the employer. This is usually going to be PDF or Word. If you have a choice, use PDF, since it formats better than Word. You might also be asked for a text resume, which is then stored in the resume database. It’s important that this text resume is well-formatted for keyword searching, since it may be searched at a later time for other roles. So, of course, this leaves open the question about whether or not you should apply for roles where you do not meet all of the job requirements. I will cover that in my next blog post.